New member from Chester Le Street. 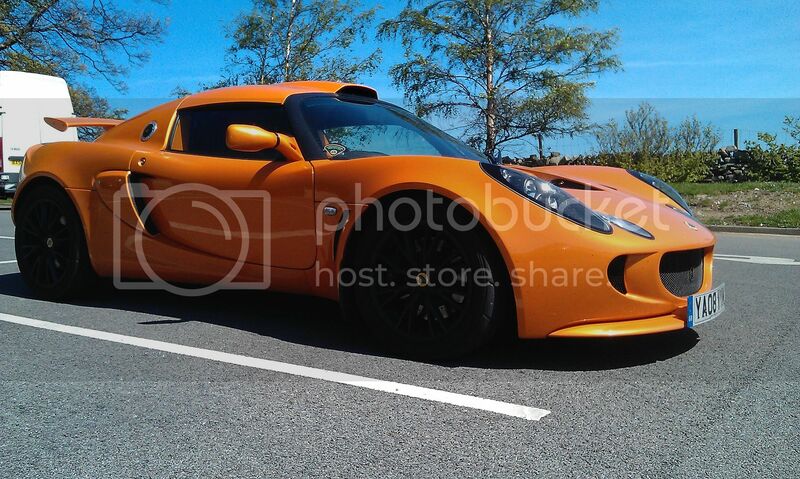 Saw your cars at the NE1 Newcastle motor show and as I've been thinking of a Lotus for a while I thought id join up. Currently have a modified Honda S2000 for the sunny days that I've had since 2003 but have been thinking of changing it for a while now but cant find anything that ticks all the boxes. The 3 cars that come close are the Evora 400-410, Exige 350-380 and the Elise Cup 250 so I may end up becoming an owner at some point. One thing I'm wondering on is whats the ground clearance like for these cars if any of you know? Ground clearance is proberbly slightly Lower than the s2k I’d imagine, but couldn’t say for certain. there’s a monthly meet on first Tuesday of every month, next tuesdays is just up the road from you, could always pop along and have a poke around, there’s usually a few variants of exige and Elise there. Welcome along, ground clearance with a splitter could be an issue your more than welcome like Paul says to come to a monthly meet and have a poke about see what you think. Welcome, you need to borrow one - or have someone visit. I suspect as you do now an angled approach will be required! Normal ride height is 100mm if I remember it correctly on an Elise. Welcome! No idea on ground clearance compared to an S200 but I had 2 S1 Elises and after 15 years of a standard one my 2nd had modified suspension which meant the bodywork ate the kerb, the original one had no issues so might depend on that!!! Sadly it's gone now but the kerb is still there.....good luck in your search, maybe some wooden blocks may be needed for the kerb!